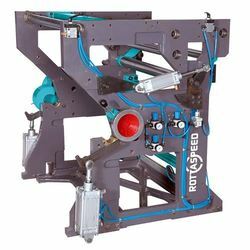 Our company is instrumental in the manufacturing, retailing, wholesaling and exporting of optimum quality Pneumatic Reel Stand with Disc Brake. Soured from well known vendors, good quality metal is used in the manufacturing of these products. Highly demanded in the market, these are stringently checked by the quality controllers before their final dispatch. 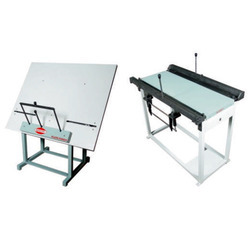 Enriched with a vast industry experience, we are capable of manufacturing, supplying and exporting superlative quality Plate Bender and Plate Punch. Offered products are manufactured in accordance with industry set norms under proper guidance. Known for their perfect finishing, lightweight, corrosion resistance and high durability, these are extremely demanded in the market. 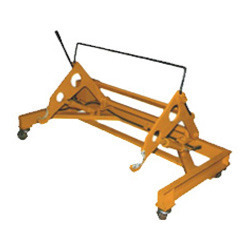 Owing to our rich domain expertise and the assistance of a dedicated team, we have been able to offer highly durable Hydraulic Trolley. These trolleys are manufactured in our advanced manufacturing unit using premium quality metal and latest technology. Acknowledged for their fine finish, rugged construction and hassle-free performance, these products are highly demanded by our esteemed clients.